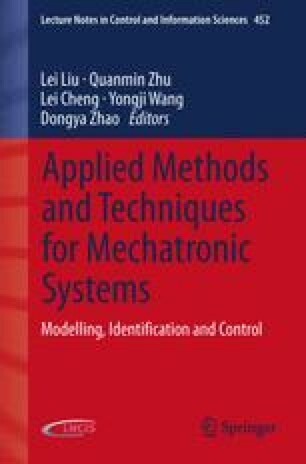 This study proposes a novel sliding mode control with self-turning law for nonlinear systems with time-delay and external disturbances possessing uncertain parameters. The adjustable control gain and a bipolar sigmoid function are online tuned to force the tracking error to approach zero. The proposed control scheme provides good transient and steady-state performance. Moreover as the proposed controller, the chatting phenomenon can be avoided and the problem of time-delay and external disturbances are solved for a class of nonlinear systems. The closed-loop control system stability is proved to use the Lyapunov method. Steady-state system performance and chattering are considerably improved. Numerical simulation results are given to illustrate the effectiveness of the proposed procedure. This chapter was supported by the Education Department fund of Hebei Province (Z2010136), and the Natural Science fund of Hebei Province (F2012208075).